To encourage HongKongers to establish a healthy diet, awareness about reducing salt and sugar intake has to be raised. Our aim is to create a contagious content that is suitable for social media climate. We have established a strong and distinguishable social persona and evolved all content with a laser-focused theme – “Persistent is actually self-discipline in action”. 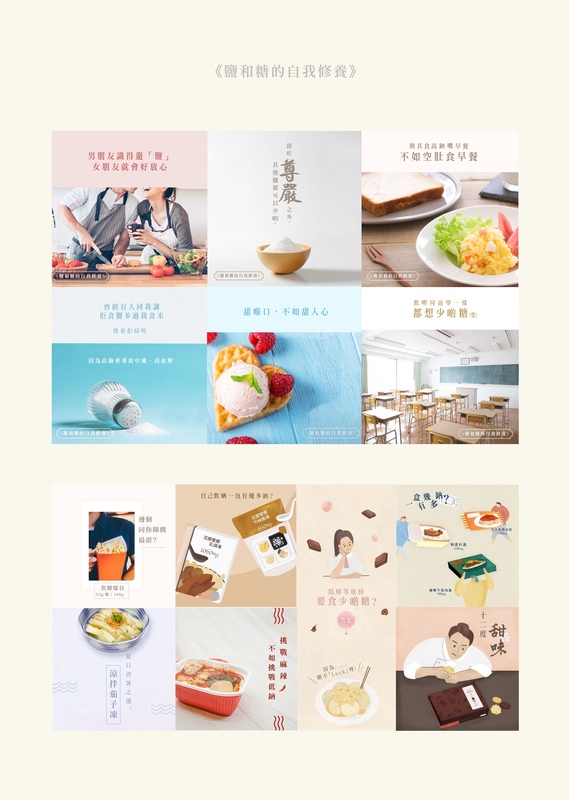 Rather than being a nagging mother, we positioned the HKASSR Fan Page more as a well-disciplined gentleman, who gives wisdom to the wise about the importance of cutting down salt and sugar intake, as well as self-cultivation. Rhyming quotes leave room for imagination and are well-orchestrated for people who have a shorter attention span. Through a distinct style of visual and copywriting, we reinforce the key messages of consuming less sugar and salt as the process of building a good eating habit.